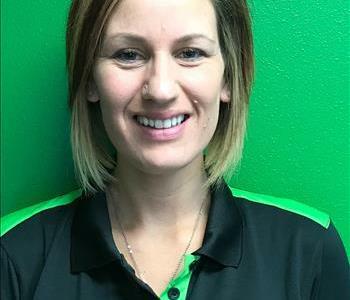 Kully Olson is the General Manager at SERVPRO of Mason City. With 7 years of experience in our industry, he has all the leadership skills necessary to lead the team to new levels of success. Kully has the following certifications from the Institute of Inspection Cleaning and Restoration (IICRC): Water Damage Restoration (WRT), Odor Control (OCT), Fire and Smoke Restoration (FSRT), Applied Structural Drying (ASD). He is also certified in Microbial Remediation through the International Air and Quality Association (IAQA). Kully is also a combat engineer in the Army Reserves, and enjoys spending time with his two little girls and wife. 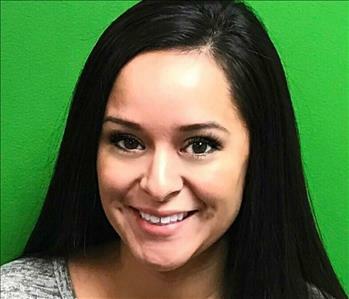 Angelica Brager is the Office Manager at SERVPRO of Mason City. She has experience within the restoration field. Angelica is part of the Iowa Army National Guard currently Deployed. She enjoys spending time with her kids. 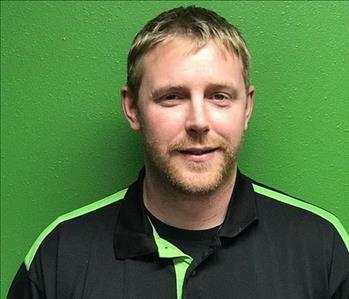 Derrick Ziemann is a Project Manager at SERVPRO of Mason City. He has several years of experience in construction and restoration. He has the following certifications from the Institute of Inspection Cleaning and Restoration Certification (IICRC): Water Damage Restoration. Derrick enjoys spending time with his family and pets. He is big into DIY projects. 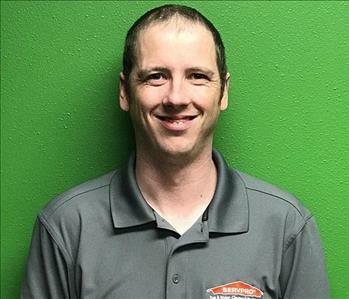 Tom Teggatz is the Chief Construction Manager at SERVPRO of Mason City. He has several years of experience with in the industry. Tom has the following certifacations from the Institute of Inspection Cleaning and Restoration Certification(IICRC): Water Damage Restoration, Fire Damage Restoration, Smoke and Odor Management, Advanced Structure Drying and he has Lead Safety and Test from the Iowa Department of Public Health. He has been a small business owner for several years. He enjoys going to his kids sporting events and spending time with his family. He has a son that is currently serving in the Navy and his daughter is in the process of getting into the military. 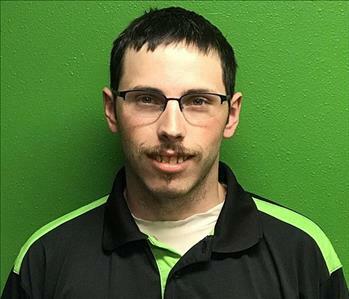 Casey Henaman is our Office Administrator at SERVPRO of Mason City. She excels in customer service, communication, and team leadership. Casey enjoys spending time with her two sons and husband. Her family loves spending time outdoors and attending live music events. 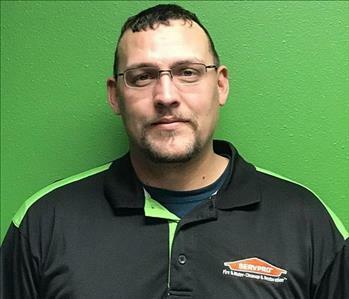 Mike Groh is a Crew Chief at SERVPRO of Mason City. 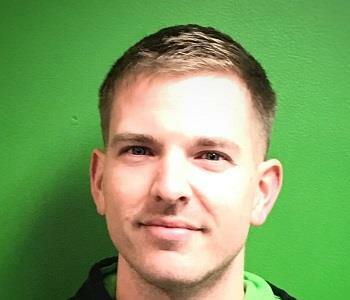 He comes from a management back ground, has strong team leader skills, and has completed Training courses in the Employee Training Certification Program (ETCP): Crew Safety, Fire damage and Water Damage. He enjoys spending time with his wife, son and daughter. Mike is a mechanic as well, working on vehicles in his spare time. Hobby is building fish tank themes. 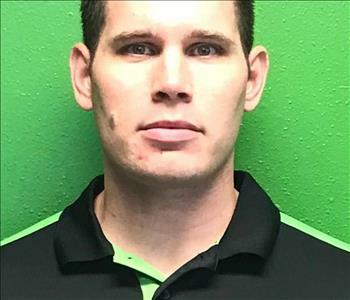 Cyle Spieker is the Operations Manager at SERVPRO of Mason City. With an extensive back ground in construction and a desire for helping people CJ has all the skills, tools, and training need to complete any task set in front of him. He has the following certifications from the Institute of Inspection Cleaning and Restoration Certification (IICRC): Water Damage Restoration. Employee Training Certification Program (ETCP): Crew Safety, Fire Damage, Water damage. Also OSHA 30 Certified. CJ enjoys spending time with his two children. He has also served our country with Iowa National Guard. Couple of side activities he enjoys are remodeling his home and his love for fish aquriums. 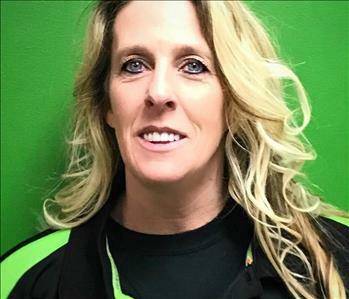 Lori Portis is Production Tech at SERVPRO of Mason City. She is a cleaning specialist with a lot of experience, Lori is our magic eraser. She has the following certifications from the Institute of Inspection Cleaning and Restoration Certification (IICRC): Fire Damage Restoration. Lori loves spending time with her family and grandkids. 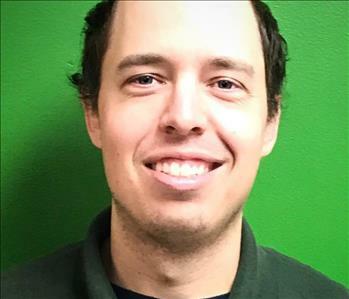 Matt Anderson is a Production Tech at SERVPRO of Mason City. He has several years of experience at Sevrpro. Matt currently specializes carpet and upholstery cleaning. 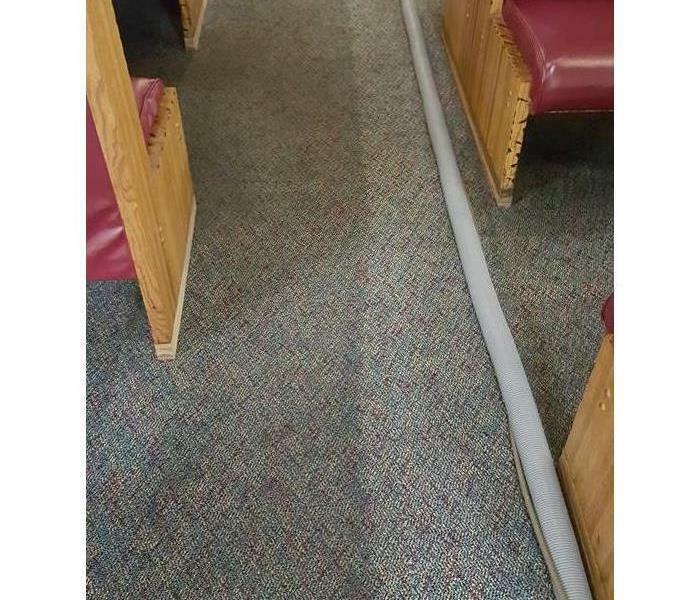 Matts has the following certifications from the Institute of Inspection Cleaning and Restoration Certification (IICRC): Water Damage Restoration and Carpet and Upholstery Cleaning. He's a big Iowa Hawkeyes fan, likes live concerts and spending time with his friends. 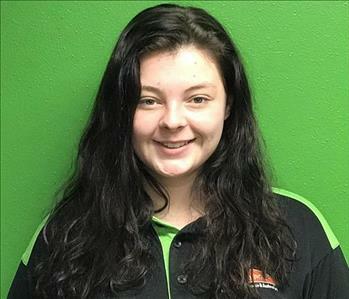 Kaitlin Mohring is a Production Tech at SERVPRO of Mason City. She has several years experience within the industry. Her high level of energy keeps everyone around her on there toes. Positive energy possess great success when cleaning. She has training with the Employee Training Certification Program (ETCP): Crew Safety and Fire Damage. Kaitlin enjoys spending time with her boyfriend and friends. Some of her other free time is simply a blanket and a movie. Dustins pride and joy is his daughter. He also enjoys spending time with friends, working on cars, and video games. 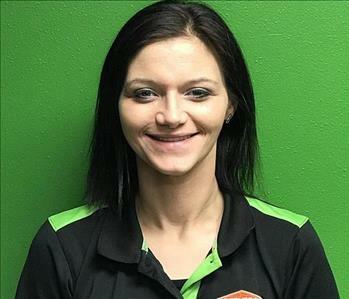 Nicole Mirowski Shanks works in the Office at SERVPRO of Mason City. She excels well with Problem Solving Skills,Communication in the office, Customer Service and her Compassion with work. Nicole enjoys spending time with her family, running races and being with her pet pigs Donut Jr and Sprinkles. 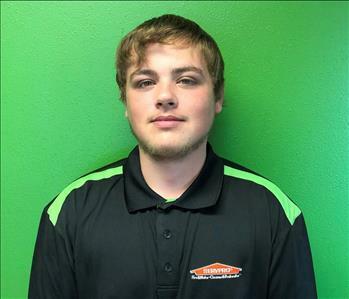 Deven Paulsen is a Production Tech at SERVPRO of Mason City. He is coming up on his 1 year anniversary with us. He has the following certifications from the Institute of Inspection Cleaning and Restoration Certification (IICRC): Water Damage Restoration. Deven enjoys spending time with his friends and family. You will also find him working on cars in his spare time. 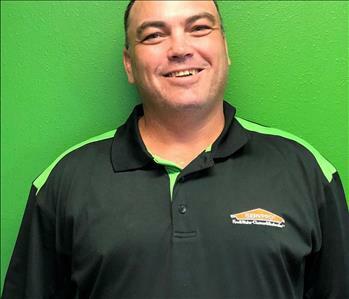 Ray Mennenga is a Project Manger at SERVPRO of Mason City. Ray has several years of experience with being a leader and supporter which will help our team grow it's knowledge, purpose, and goals. He has the following certifications from the Institute of Inspection (IICRC): Water Damage Restoration. 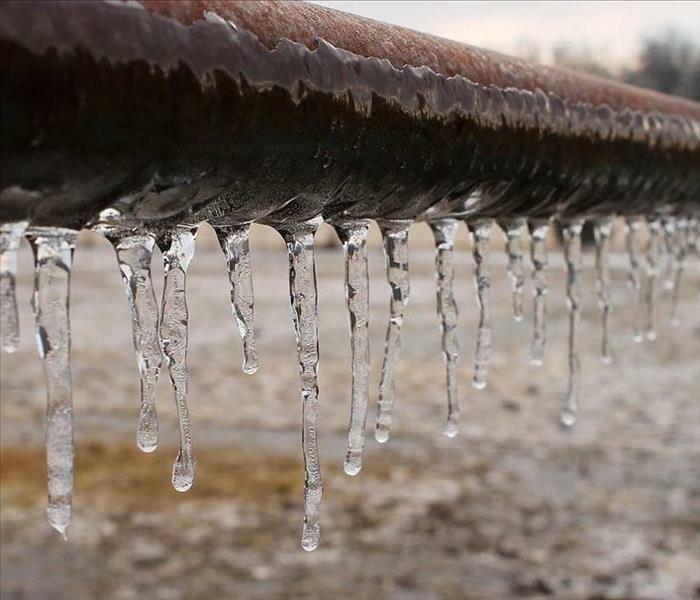 Employee Training Certification Program (ETCP) Water Damage. Ray is also a Civil Affairs Team Sergeant for the Army Reserves. Outside of work he is usually studying for his Bachelor's Degree program, working out and wrenching on vehicles. 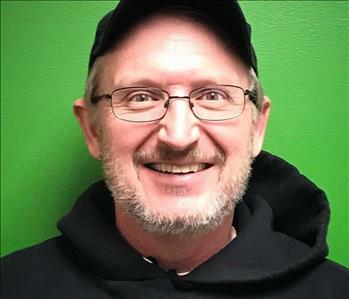 Ray Stump is a Production Tech at SERVPRO of Mason City. He has several years of experience at Construction and Labor in his background. Ray enjoys spending his time playing baseball or fishing. His favorite thing is being with his dog Niners.